In order to help readers and audiences better understand the characteristics of Chinese media, western media frequently use two phrases before the names of Chinese media. One is “party mouthpiece”, often used to define People’s Daily and CCTV; the other one is “liberal”, often refers to Caijing, Caixin and my former employer Southern Weekly. The use of these two phrases reveals the basic classification of Chinese media. However, it may cause oversimplification and misinterpretation. As a journalist working for the newspaper described by the New York Times as “China’s most influential liberal newspaper”, I find that the westerners’ understanding of so-called “liberal media” in China sometimes deviates from the truth and the complexity is widely ignored. The portraits of Chinese “liberal” journalists by westerners are usually heroic and somewhat pathetic. They are regarded as warriors fighting for free speech while the party-state plays the role of evil tyrants. This kind of inclination can even be felt in well-demonstrated academic works. The word “control” frequently appears in research papers and books concerning the Chinese media. Similar expressions include “monitor”, “tight control”, “firm regulation”, and even “banning wayward publications”. On the other side, the media and journalists are often labeled with “bold” or “pushing the envelope”. And the interaction between the party-state and the media is depicted as “conflict”, “tension”, “dissonance”, “confrontation”, “grievance”, “resistance”, and “crackdown”. In one word, stories of Chinese media system constructed by westerners are usually battles of media autonomy between the state and journalists. It’s true that battles for control or autonomy happen every day, but the excessively “control”-focused arguments neglect many interesting and important facts. In practice, Chinese media organizations and journalists have been participating in the reform process and their role is not a small potato. Regarding Chinese media as oppressed and rebellious is appropriate to some extent, but it overlooks their power and their desire to get close to the state, and even to contribute to the systems. 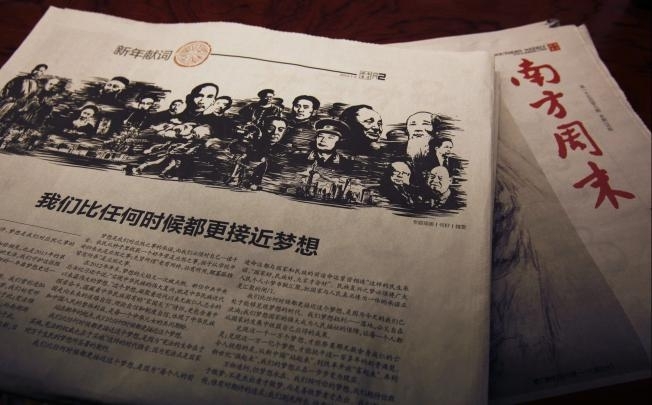 We can get a clearer picture of Chinese media by both tracing the development of market-driven journalism since 1980s and looking into the ownership of media. As a matter of fact, even the most “gutsy” media are not outsiders of the political system. The full version of this article was translated into Italian and published in Orizzonte Cina 2013(4). You can download the electronic journal here.